The Forum for US Securities London in London is collaborating with Practical Law to create video content on legal updates, best practice, and hot topics. Please find the description and link below to the second in this series. You must be a subscriber to Practical Law to view this video. A new video, “Capital Markets: 2018 trends and predictions for 2019” has been published and is now available to view in Practical Law HERE. 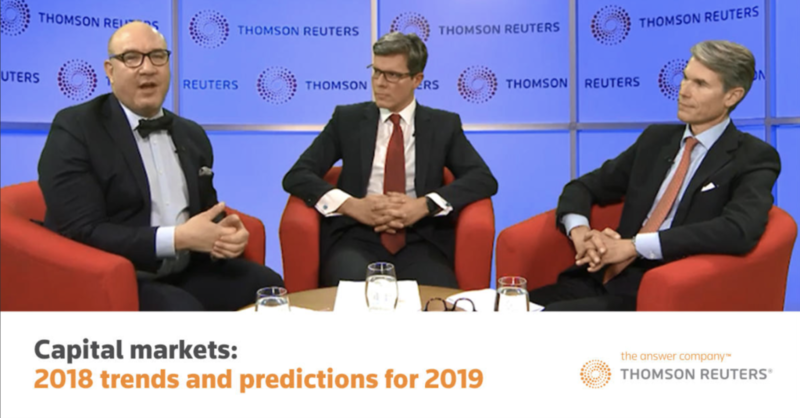 In this video, Darko Hajdukovic of the London Stock Exchange joins Daniel Winterfeldt and Edward Bibko as they review the capital markets trends of 2018 and the emerging trends for 2019.